A few short years ago, Emily released her anger with punches … her classmates knew just what buttons to push, and Emily wasn’t afraid to respond with a fight. Today, she practices other outlets: painting, writing, softball. A lot has changed in the past few years … since she found Children’s Home Society of Florida. 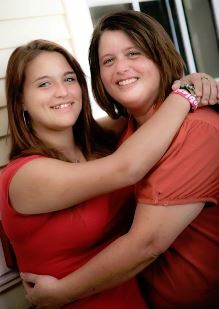 Amidst turmoil and instability, Emily and her mom, Michelle, found hope with CHS. They learned how much someone cared. And they soon realized their potential as individuals and as a family. It wasn’t long before we helped Michelle navigate complex systems to enroll Emily in a health plan. When they felt their world was crumbling, we listened. Provided guidance. Found new opportunities to help them to move forward. To find stability. Happiness. Now, Emily and her mom have more than security – they have joy. No longer an aggressor, Emily finds acceptance in school clubs, studies hard and pitches for her softball team. She has ambitious aspirations – she hopes to play college ball and dreams of becoming a pro softball player and a doctor. Because of CHS, Emily is fast on a path to a bright future.